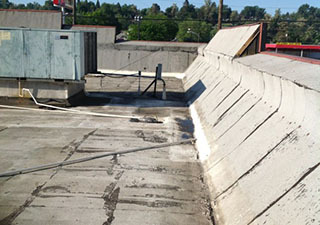 A flat roof is generally low maintenance, but every roof will eventually start leaking. When this time comes, it doesn’t mean you have to jump right to getting a replacement. 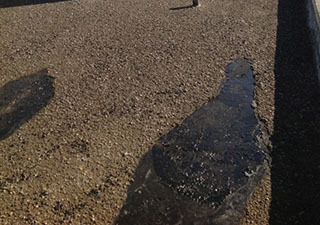 Instead, clients in Ludington, MI can call Empire Contractors at (231) 578-4760 to schedule a flat roof repair. We’ll get your roof back on track quickly so that it can hold up for many years longer. At Empire Contractors, we pride ourselves on being the top craftsmen around. We have a number of innovative solutions for your roof that will help you save a significant of time and money in the long run. Our team will keep up open and available correspondence from start to finish of the project. We work closely with clients to create customized roofing plans. Our team has you covered with any sort of roofing service that your roof requires. Since the late 1990’s, Empire Contractors has been helping clients across Michigan get decades more out of their roofs. We work on all types of commercial and industrial roofs and make sure to only use high-quality roofing materials. There are a number of things that can go wrong on a flat roof. This includes ponding water, tears in the membrane, and separation at the seams. Whatever is going on with your flat roof, Empire Contractors will spot any issues and fix them up properly on the first visit. If you are looking for a contractor to repair your flat roof, it might be the perfect time to restore it with a roof coating. The roofing specialists at Empire Contractors are extremely experienced when it comes to applying roof coatings. We’ll add this protective membrane to the surface of your roof which will stop it from leaking again for years. Moreover, it will improve the energy-efficiency of your building. Getting a flat roof repair does not have to be a stressful process. For the people of Ludington, MI, it’s as easy as calling Empire Contractors at (231) 578-4760. We’ll be sure to come check out your roof shortly after you call. Whether we need to repair, restore, or replace your roof, we’ll get you the best solution for a great price.